29th AFI EU Film Showcase - Dec. 1-18 - Silver Spring, MD - France in the United States / Embassy of France in Washington, D.C. The AFI European Union Film Showcase of Silver Spring will screen 47 films, including five 2016 French co-productions. Now in its 29th year, the AFI European Union Film Showcase continues its tradition of bringing the best in European cinema to Washington, DC-area audiences. This year’s selection of 47 films includes international film festival award winners, European box-office hits and debut works by promising new talents, plus nine U.S. premieres and 14 countries’ official Oscar® submissions for Best Foreign Language Film. All films are screened with English subtitles. For more information and ticket reservation, please click here. The film tells the story of a Parisian woman in her sixties who must reinvent her life following an unexpected divorce. Nathalie must also deal with the failing health of her aged mother, a former actress who still hasn’t given up the spotlight. The next several years will have their ups and downs, but Nathalie ultimately will come to know herself in a new and deeper way. 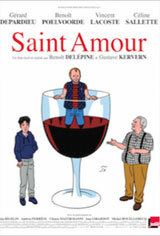 The comedy follows a father-son duo, played by Gérard Depardieu and Benoît Poelvoorde on their road trip journey through France’s wine regions. 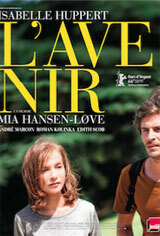 Misadventures ensue including run-ins with characters played by Michel Houellebecq, Chiara Mastroianni, Ana Girardot, Andréa Ferréol, Ovidie and Céline Sallette. 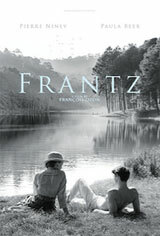 François Ozon reimagines the moving 1932 antiwar story “Broken Lullaby” by Ernst Lubitsch with more mystery and bittersweet romance. French veteran Adrien visits the German town of Quedlinburg, where he places flowers at the grave of Frantz Hoffmeister, a German soldier killed in the war. The fallen man’s parents and former fiancée Anna assume Adrien must be a friend from Frantz’s days studying music in Paris, a misconception that the fragile-nerved Adrien allows them to believe. Studio Ghibli’s first-ever international coproduction, this moving, mostly hand-drawn and dialogue-free animated film is a parable about man and nature, life and death. A man is shipwrecked on a desert island. 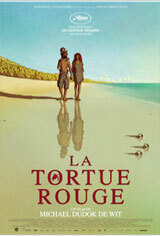 He builds a raft, intent on returning home, but an enormous red sea turtle causes it to capsize. The man builds a bigger raft, but the red turtle again destroys his work. Enraged, the man strikes the turtle, but instead of killing it, a mysterious transformation occurs. This animated film is filled with different layers of meaning. 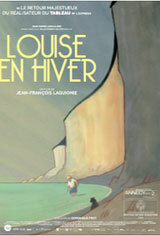 Both sweet and melancholy, the story revolves around Louise, an unassuming elderly lady who becomes stranded alone in a seaside town during winter, and decides to stay put and live there until summer comes around. With little to occupy her time but to survive the elements and reflect on her fleeting memories, Louise befriends Pepper, a local stray dog who becomes her guide and companion in making sense of the past and enjoying the present.